But when those wells came in, Placerita's white oil was instantly recognized as a phenomenon with great monetary potential. 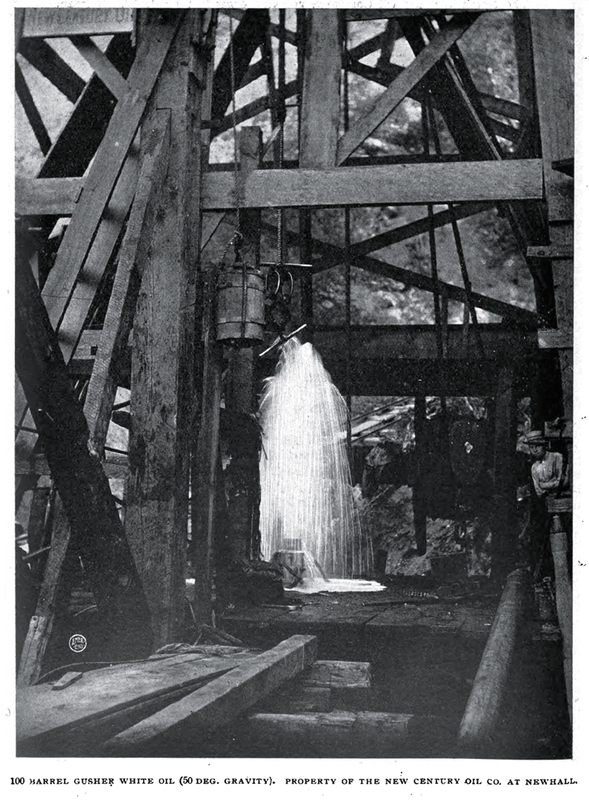 "It is a marvel to all beholders, as it can be used either for engine distillate or for illuminant without refining," according to Lionel V. Redpath in his 1900 work, "Petroleum in California"  the book in which this photograph appears. LW2257b: 9600 dpi jpeg from .pdf copy of book cited.